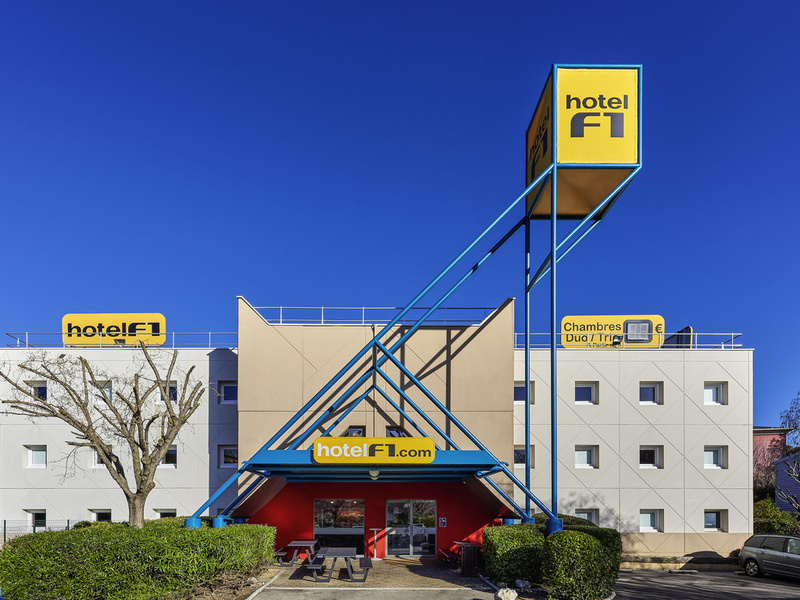 hotelF1, the new generation of low-cost hotels in France, with parking and WIFI accessible 24/7. Our DUO and TRIO rooms are perfect for your business or leisure stays. There is a shower and bathroom area outside the rooms. A dining area is available for a n all-you-can-eat breakfast buffet. Just 10 minutes from the town center, a bus stop covering all lines is only 218 yards (200 meters) away. And only 218 yards (200 m) from the Micropolis exhibition center. TRIO room for a maximum of three people. Ideal for families, couples or friends. Duo Room for a maximum of two people. Ideal for a working trip, couples or friends.